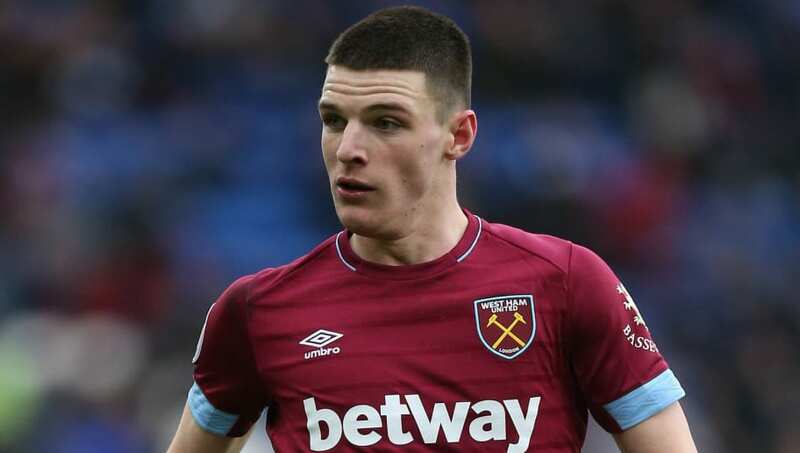 Former West Ham United defender Scott Minto has claimed that Real Madrid have begun speaking to the family of young midfielder Declan Rice, ahead of a potential summer bid. The 20-year-old has established himself as one of Europe's most exciting defensive midfielders and, after recently making his England debut, has found himself linked with a blockbuster move away from the London Stadium. Speaking to ​Stadium Astro, Minto claimed that ​Los Blancos have now entered the race for Rice's signature. He said: ​"I'm hearing that even Real Madrid is knocking on the door and speaking to [Rice's] family. That's what I'm hearing from a reliable source. "​West Ham will know about it, or certainly know about the big boys - ​Manchester United will be knocking on the door, the big boys of the ​Premier League, of world football, will be saying 'this is a young lad who is at a club that could sell for the right price and could become one of the stars in his particular position.'" Minto is said to have connections in Spanish football stemming from his major role in Sky Sports' ​La Liga coverage in recent seasons. United have been heavily linked with a move for Rice, which could cost upwards of £60m, but Real's interest may spark a bidding war between the two clubs for one of the Premier League's brightest prospects. He already has 67 West Ham appearances to his name after breaking through to the first team in 2017. His impressive form saw Rice switch national allegiances from the Republic of Ireland to England, and the 20-year-old made his debut for the Three Lions soon after, in March's 5-0 win over the Czech Republic. He signed a new contract at the London Stadium in December, committing himself to the club until 2024, but a sizeable offer from the likes of Real or United could tempt them to part ways with the youngster.